Thanks to being one of the most historic and popular casino games, it is no surprise that many players have tried to devise systems to bypass the house edge. The problem, of course, is that no matter which variety of the game you choose to play, the odds are always going to be stacked slightly against the player. For this simple reason, the best way to approach roulette is to employ one of avariety of gambling strategies that seek to capitalize on ‘runs’ of good luck and mitigate against incurring severe losses when Lady Luck isn’t in the mood. In this article, we’ll take a look at some of the most popular roulette strategies and how ambitious players should use them. Roulette is all about odds. Forget any superstitious notions that there are such things as ‘lucky’ combinations, wheels or worst of all croupiers. So it makes sense wherever possible to always play European versions of the game. These allow a mere 2.7% house edge compared to American wheels featuring the ’00’ running at a 5.3% house advantage. Sure, if you hit a lucky streak the 37-1 return offered in US roulette beats the 36-1 from Europe, but it simply is not worth the increased risk.n Play not so much to win, but to cover/limit your likelihoodof losing or even worse going bust. Nobody is quite sure of the origins of this system – most historians reckon it dates back to 18th century France – but chances are that whoever invented it originally was a terrible gambler! Despite this, it remains probably the most popular roulette strategy going and one that even total novices still today claim to have ‘invented’ as a surefire means of beating the house… eventually. The Martingale strategy is a straightforward negative flow strategy whereby a player is constantly attempting to chase their losses. For example, say a player loses $10. To recoup their losses, they then stake $20. If that wins, they have broken even and start again with another $10 bet. If that then wins again, they bank a $10 profit and start over. Sounds like a straightforward strategy, right? Not exactly because it is limited to the player at most ever winning that $10. When a devastating run of reverse results occurs – and they happen more often than most novices are aware – the player will need to stake $20, then $40, $80, $160, $320 – and so on to try and just break even. Surely if you have the bankroll to be able to cover amounts that can within minutes turn into thousands of dollars being wagered at a time – there is a killer catch. Casinos operate with maximum stake limits on roulette wheels to mitigate for those runs of bad luck. If you hit that ceiling you will be hugely in the hole and all for trying to win a measly$10. The only way the Martingale system can ever theoretically work over a period of time is on games offering equal odds. Roulette simply does not offer that, and that is why the player will always eventually lose. Ever seen the movie The Gambler? If so, then this is the system used by the anti-hero. It is an aggressive, positive gambling system whereby a player attempts to capitalize on a running streak by continually doubling up on their wins. Those who use this method ‘successfully’ tend to limit it to three successive wins before returning to their original stake and banking the profits. For example, this would be from an initial $10 bet wins of $20, $40 and $80, with $70 being banked and then starting again with $10. When used appropriately this is a far safer method of at least prolonging a session because you are limiting yourself on how much you stake. Despite the objective being to still break even, it does not incur the same devastating risk as the Martingale method even though it is theoretically a much more aggressive (and exciting) way of betting. To be performed effectively a player must keep their cool and stringently keep to their system. There will, of course, be prolonged periods where the sequences simply do not fall into place. But at least with the Paroli system, you will have a longer period at the table! We’ve covered the two most popular positive and negative roulette systems but it is worth briefly mentioning a couple of others. These look to specifically manage the odds according to a player’s own style. This involves betting on one of the three number columns (1-12, 13-24 or 25-36) and returns odd of 2/1 with a 31.58% chance of it coming in. That may not sound especially tempting, which is why players often choose to cover themselves by staking on two columns with a 63.2% of winning but at a reduced return. If the player doubles up on their losses in a Martingale system, the odds are much more appealing and with a far lower chance of becoming busted out. An even more conservative strategy with win odds of 83.7%, this involves a player splitting their investment proportionally between columns. For example, a $100 spread would be $55 on the top numbers, $40 on the middle column, and $5 on zero (assuming playing European style roulette). With such odds stakes really ought to be quite high in order to generate any significant returns, which is why this is popular with plenty of ‘high rollers’. So there we have an introduction to the principles of roulette strategy! As you’ll see it does help to at least know the odds/risk when settling down to a session at the wheel, and to throw superstition out the door at the same time. 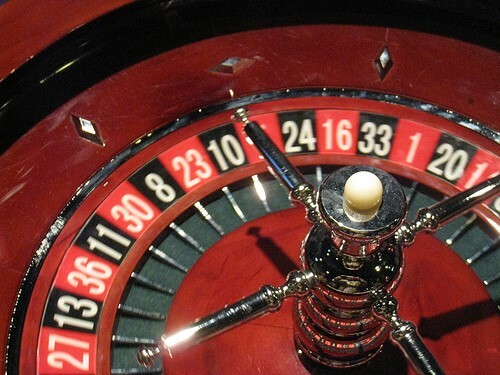 Any experienced player will stress that roulette is the ultimate game of chance, and more often than not bizarre patterns and runs will occur. If forced to choose a best, then the Paroli system at least offers a way to make your run last longer – but hey, there’s no guarantee in this game!